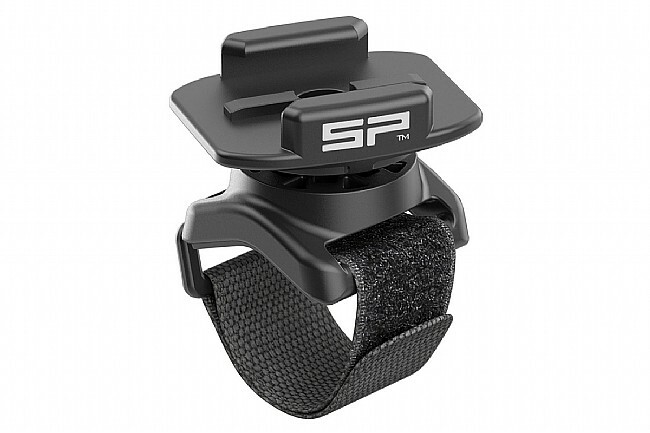 The Universal Mount from SP Connect utilizes a velcro strap that can be attached to any bar or tube with a diameter between 20 and 90mm. The spring loaded mount allows for a toolless 360° rotation of the attached device. Smartphones can be securely fastened to bicycles, motor bikes, golf trolleys, or baby strollers allowing use of apps and easy access to music, messages, and navigation systems. Includes universal mount, 2 straps, and MicroRail adapter. For diameters of 20-90mm (0.9-3.5inch).